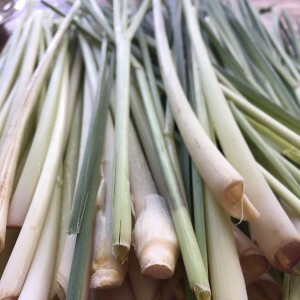 Lemongrass is a fragrant, thick rooted grass easily found in UK supermarkets. A staple of SE Asian cuisine, no self respecting Thai dish is complete without it and locals swear by Lemongrass tea to aid digestion after meals. 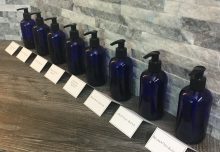 Skin: The astringent properties contract and tighten tissues so it is great for open pores, oily skin and acne as it cuts through and removes excess oil. It’s also a natural insect repellant. Now, if like me you can play dot-to-dot with mosquito bites it may not be a substitute for DEET but it does work for many people and removes the use of chemicals on the skin. Muscular system: A wonderful tonic for aching muscles. Lemongrass is antispasmodic which slows muscle spasms, making it useful for tired legs, muscle fatigue and sports injuries. Skeletal system: As well as muscles its very relaxing for aching joints. It can also help to treat gout and rheumatism. Nervous system: A great choice for relieving stress related conditions and nervous exhaustion as it stimulates and energises emotions. If you are feeling low and need a little emotional pick me up, Lemongrass makes a great oil choice due to its antidepressant action. Digestive system: Probably most renowned for its stomach healing properties, hence why it’s a popular tea. It settles and relieves sickness, gastroenteritis and indigestion and revives sluggish appetites. Respiratory system: A natural antiseptic, Lemongrass is especially good at treating infections including sore throats and laryngitis. It also reduces fever. So, next time you need an emotional pick me up or suffering from a sore throat just add a stick of lemongrass to your stir fry or herbal tea! 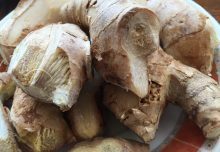 If you think Lemongrass could treat your conditions Aroma Restoratives offers a bespoke aromatherapy treatment course for £160 which includes a full consultation, 3 x 60 minute massages and oil blends to keep. Click here for more information. Lemongrass essential oil should never be applied neatly onto skin, for best results blend with a carrier oil.